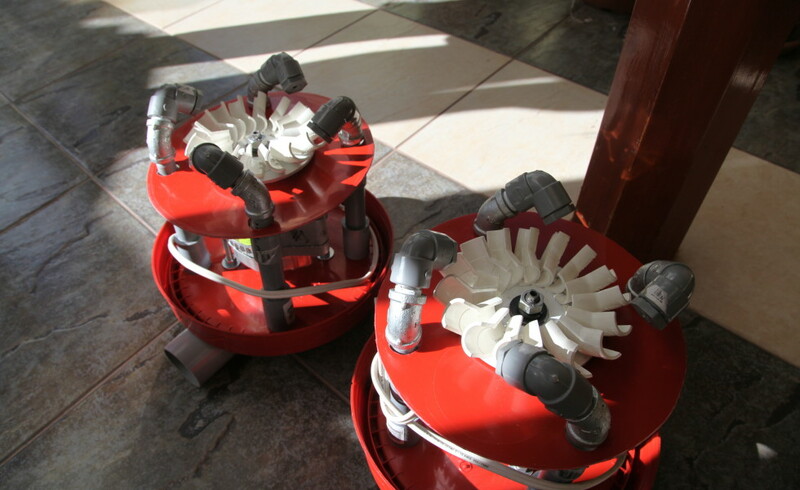 The generators that we built this summer in Peru were made almost entirely from locally sourced materials. 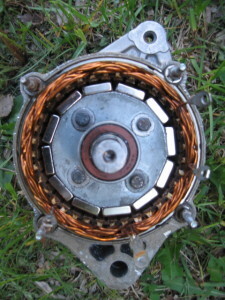 The new Toyota Alternator-based permanent magnet alternator (PMA) was used in their construction. The only materials that we brought from the States were the permanent magnets used in the alternator. Next time we do an installation we hope to be able to source the magnets locally! A look inside the Toyota based PMA.